LOME, Togo, August 7, 2015/African Press Organization (APO)/ -- An International Monetary Fund (IMF) staff team led by Cemile Sancak visited Lomé from July 24 to August 6 to conduct the 2015 Article IV consultation. The mission held discussions with Adji Otèth Ayassor, Minister of State, Minister of Finance, Planning and Development; Kossi Assimaidou, Minister of Planning; Kossi Ténou, BCEAO National Director, and other senior officials. The mission also met with representatives of the private sector, civil society, and development partners. 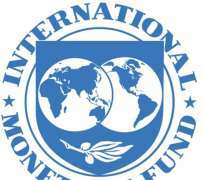 “The IMF staff mission held productive discussions with the Togolese authorities and other stakeholders focusing on policies and structural reforms to promote sustainable growth through structural transformation and to maintain macroeconomic and financial stability. “Togo's output has been expanding at a healthy rate in recent years. Output growth averaged 5.4 percent in 2013-14, reflecting strong growth in agricultural production, expansion of the Port of Lomé and the international airport, and construction of major road networks. Inflation slowed mainly due to declining food prices and reductions in retail fuel prices. The increase in public investment has, however, led to a marked increase in borrowing on the sub-regional market and in the current account deficit. “The growth outlook remains positive over the medium term. The authorities intend to complete the network of major roads and gradually invest more in secondary roads. They also intend to increase social spending, including investing in new schools, health centers, and a major hospital complex in Lomé. Growth is expected to average 5.5 percent in 2015–18, supported by agricultural production, transportation services linked to international trade, and the positive impact of improved transport infrastructure on private economic activity. Public debt is expected to remain high, mainly reflecting continued investments in public infrastructure financed by borrowing on the sub-regional market and external loans. The current account deficit is projected to improve marginally to 12.3 percent of GDP in 2015 as a result of lower oil prices and narrow to 9.6 percent of GDP by 2020 provided there is a narrowing of the fiscal deficit in the coming years. “The authorities' desire to increase potential growth coupled with the increased debt and current account pressures call for policies that strike the right balance. The fiscal stance needs to be gradually adjusted to keep debt stable and ensure long-term external stability. “To become a commercial and transportation hub, it will be important to facilitate the development of key sectors, such as energy and telecommunications in particular, and to continue improving the business climate and the efficiency of public investment projects. “The authorities also need to prioritize simple but essential reforms with maximum impact, such as improving the performance of the Revenue Authority (OTR), modernizing public finance administration, and strengthening debt and liquidity management. “In the financial sector, a stricter enforcement of the current regulatory framework is needed. Banks that are not currently in full compliance with prudential ratios need to take immediate remediation action otherwise resolution strategies would need to be implemented. Financial stability of the microfinance sector also needs to be improved. The IMF Executive Board is expected to discuss the staff report on the 2015 Article IV consultation in October 2015.